Next Class Begins April 20, 2019! This includes 3 certificates, workbooks, textbook, hands-on training and resources, and a one-year membership in the Pediatric Dental Assistant Association after graduation. Students are responsible for black scrub pants and tennis shoes. 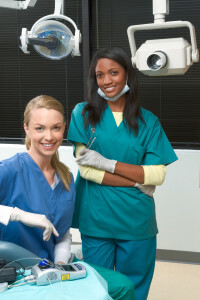 Before making tuition payment, students must be registered with the Pediatric Dental Assistant School. If you are not already registered, click the button below! For all tuition payments, please use this form to note your preferred payment method, and include tuition payment with form where applicable. Complete the tuition payment form in full and return to the contact information provided below, with tuition payment where applicable. *Please, use this form and note your preferred payment method in addition to any other relevant payment/tuition forms. For more information, see tuition payment contact information below. First, you need a PayPal account. If you don’t already have one, you can set one up free of charge at www.paypal.com. Simply click the SIGN UP button in the top right corner of the PayPal website and create your personal account. Once you have your PayPal account created, go to www.paypal.com and log in. Click the light blue “Shop Now. Pay Later” button on the top right side of the screen and follow the onscreen instructions and “Apply Now.” You’ll get an approval decision in seconds. PayPal Credit is subject to credit approval and offered by Comenity Capital Bank. *Also, please, use this form and note your preferred payment method in addition to any other relevant payment/tuition forms. For more information, see tuition payment contact information below. With three easy options available, Extended Payments allows you to enroll in the PDAS today, and make payments at a later date. To apply for Extended Payments, simply print out the application form below, complete and fill out the entire form, and email/fax/mail it to the PDAS (mailing address listed below). Tuition payments are to be made via Cash, Check, or Money Order; made payable and mailed to Post Oak Enterprises, LLC (address below). To learn more about refunds and cancellations, please read the Pediatric Dental Assistant School Refund Policy.